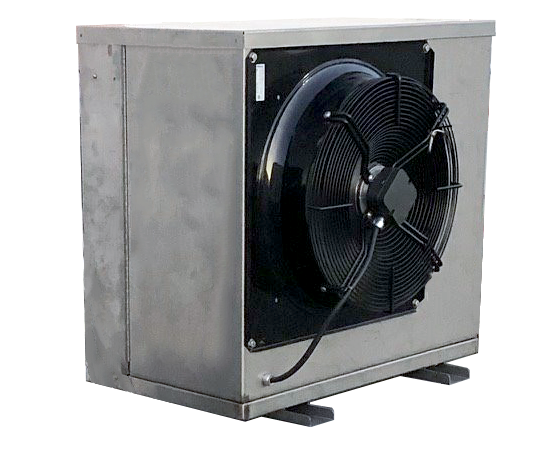 The CxV is a single model featuring a 5 hp compressor, propeller fan, and PLC controls. 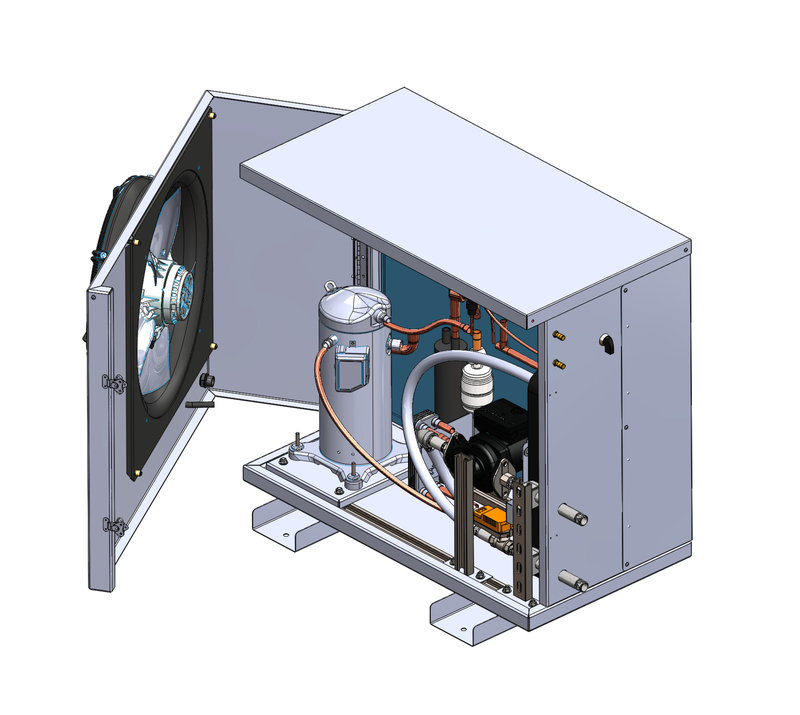 Using vapor injection technology the CxV is capable of producing 140°F water at 10°F ambient air. The unit can continue to operate down to -4°F, producing 120°F water. The CxV utilizes the same Intelligent Defrost control and hot gas defrost that was developed on the new CxA series. This improves hot water output and minimzes defrost cycles, maximizing COPs. The CxV's swing out door allows for excellent access to all internal components. It also features external High and Low Pressure measurement ports.